Gabby Mansour was diagnosed with a rare disease that caused her leg to break and not heal. Her parents brought her to NewYork-Presbyterian Hospital where she’d undergo nine orthopedic surgeries. The video follows Gabby as she talks about her disease, recovery, and her passion for dancing as she takes the stage with the Radio City Rockettes for her walk on role. Watch now. 7-year-old Ellie McGinn has a rare genetic disease that affects her mitochondria. While learning about mitochondrial disorders, Johns Hopkins medical students are taught firsthand by Ellie and her father. Watch now. Mount Sinai pioneered the use of the “Nuss Procedure” to correct Pectus Excavatum, a fairly common congenital deformity of the chest wall. The video features Dr. Andrew Kaufman, Chief of Thoracic Surgery for Mount Sinai Beth Isreal, and his patient, Brian Reyes. Watch now. Novo Nordisk released a video featuring the company’s US employees and patient ambassadors, asking them, “What inspires you to change diabetes?” The subjects were limited to using 3 words. Watch now. The American Psychological Association published a video about the physical and psychological challenges for aging individuals. The video showcases Jacobi Hospital’s unique, integrated approach in geriatric care in which physicians are accompanied by psychologists when treating patients. Watch now. This issue’s “Featured Video” is a submission from Megaphone Reader, Bryan B. Thanks for your submission, Bryan. 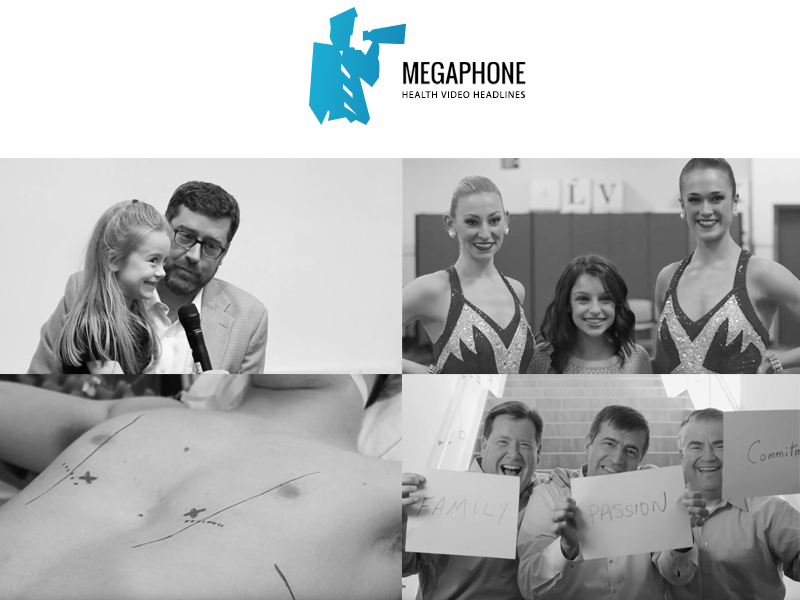 If you have any videos you’d like Megaphone to share with our readers click here. Fill Up. Pour Out. from Resonate Pictures on Vimeo.